Untitled ["This poem is not meant for you"] by Willow Harth. Text as posted on On Being with Krista Tippett (07/23/14). Art credit: Photograph by PA in the Daily Mail (06/02/2013). 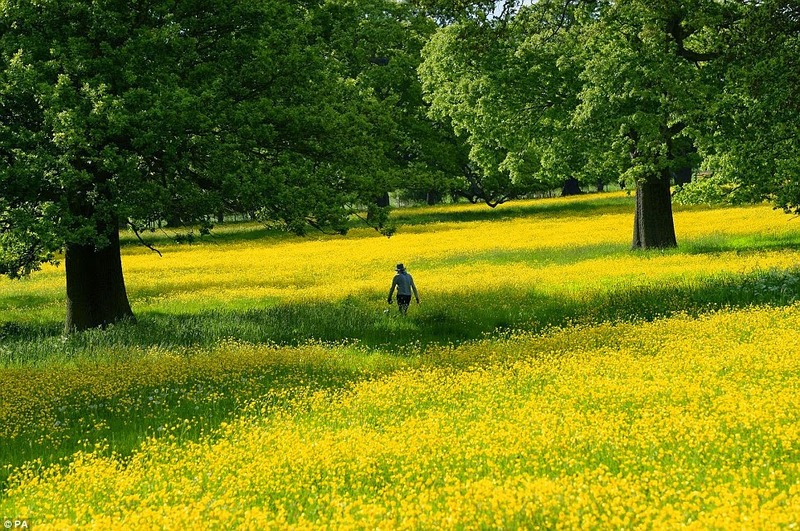 Caption: "At long last: A vast carpet of buttercups glisten in the sunshine in fields close to the River Wharfe near Bolton Percy in North Yorkshire [England] this morning." I'm sorry that I only now became aware of your comment (this project is no longer active. I'm afraid I don't have current contact information for her. Good luck. Deep peace to you.